EMMERSON MNANGAGWA ZANU PF ASSEMBLES A 12-MEMBER LEGAL TEAM to arrange how to respond to MDC Alliance leader,Nelson Chamisa’s , court challenge to harmonised election results of the 30 July 2018, in which Zanu-PF achieved 145 parliamentary seats against 63 for the MDC Alliance. 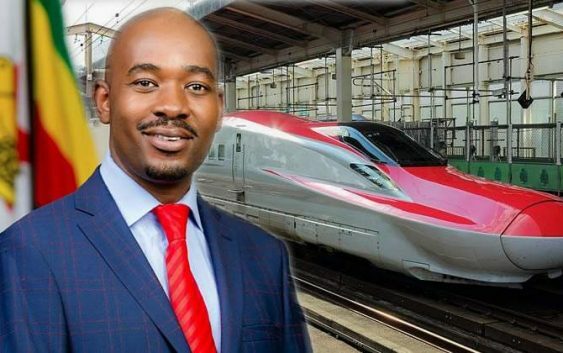 Chamisa has refused to accept defeat having even adamantly declared well before elections that he would not accept any election outcome in which he loses or Mnangagwa and his Zanu pf are winners. Nelson Chamisa has indicated that he holds evidence of poll rigging in favour of Zanu-PF by the Zimbabwe Electoral Commission (Zec). The Zanu pf legal team is made up of Zanu-PF Secretary for Legal Affairs, Paul Mangwana, a lawyer. Patrick Chinamasa also alawyer, said “Zanu-PF will defend the will of the Zimbabwean people as expressed through free, fair, transparent and credible elections that took place on 30 July,” said Chinamasa. Patrick Chinamasa went on to state that MDC ALLIANCE lawyers will shortly be reported to the Law Society of Zimbabwe. “In due course, Zanu-PF will lodge complaints with the Law Society of Zimbabwe against the legal practitioners who have crossed the line in so far as their duties to the court are concerned,” said Chinamasa.